For the longest time, I didn’t know that the word Sonth meant dried ginger powder. I recently found that out when I visit the Lajpat Bhawan Masala Centre. In fact, to me, Sonth has always meant THIS chutney. That’s what we’ve always called it. So much so that I’ve had pretty aggressive arguments with people insisting that the only meaning of the word is this particular “samosa chutney”. 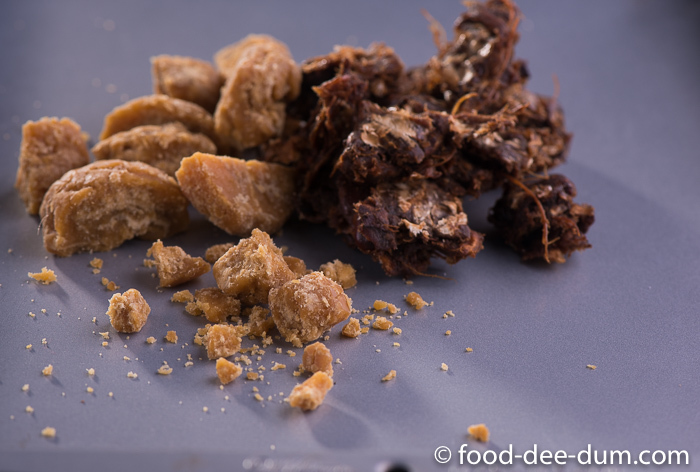 Just for fun, when we returned from the Masala Centre, we asked everyone we met about the word and the whole family was divided equally, right down the middle between “samosa chutney” and dried ginger! At least I learned something new that day – that I’m not the only misinformed person in my family. Ha. 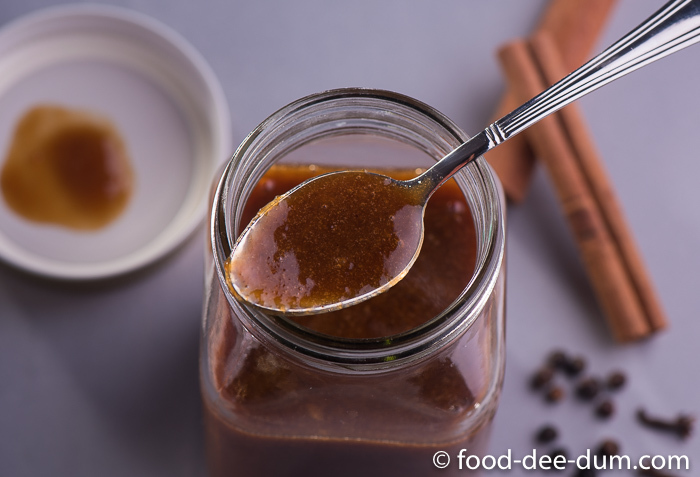 I decided that it was time this chutney finally made it’s way to the blog. I actually planned to blog this last year – I made it, took pictures and then promptly lost those pictures, thanks to a careless memory card mix-up. Ah well. Here’s to better pictures this time around. This recipe is from my Masi (maternal aunt) — she has been making this for years. In fact, my mom and I are so lazy about these things that we just get her to make us a batch when we have a party! And she always obliges. The thing with the two sisters is that while they are equally good cooks, my mom is the quick-fix-convenience-comes-before-the-correct-way kind of cook whereas Masi loves to do things the “proper” way, with correct ingredients, proportions, timings and processes. She takes notes when she changes recipes and saves them in lovely word documents to send to her children who live in different parts of the world and miss desi khaana. I actually have one such word doc for this chutney. 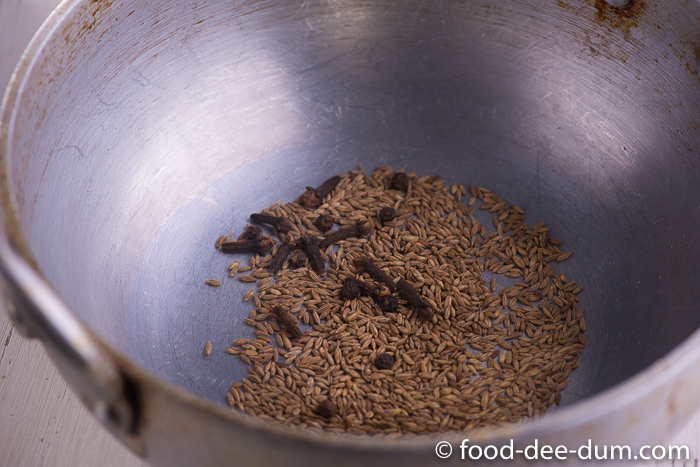 First, I toasted the jeera, pepper and cloves in a kadhai, on medium heat, for about 2 minutes or until fragrant and 2 shades darker. 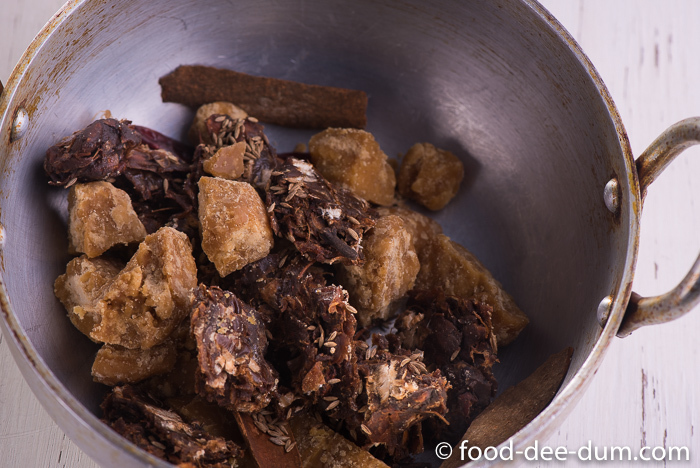 To this, I added the cinnamon, red chilly, tamarind, jaggery and 4 cups of water and set it to boil. 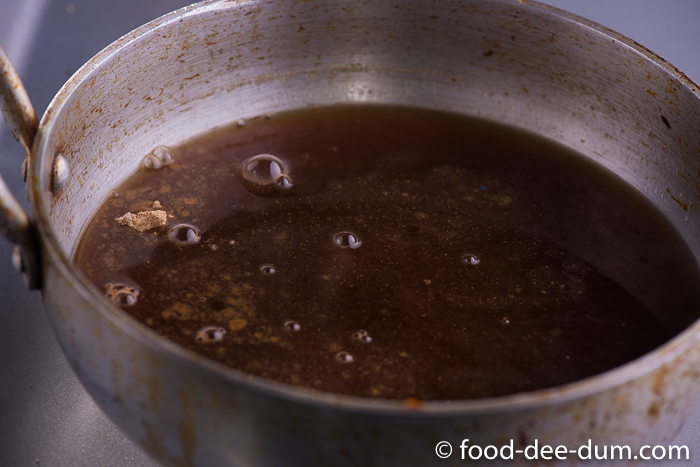 Once it came to a boil, I reduced the heat to medium and let the mixture cook for 10 minutes, stirring to ensure that all the jaggery had melted and the tamarind softened. Taking it off the heat, I allowed it to cool slightly and passed it through a sieve, retaining the liquid and discarding the rest. 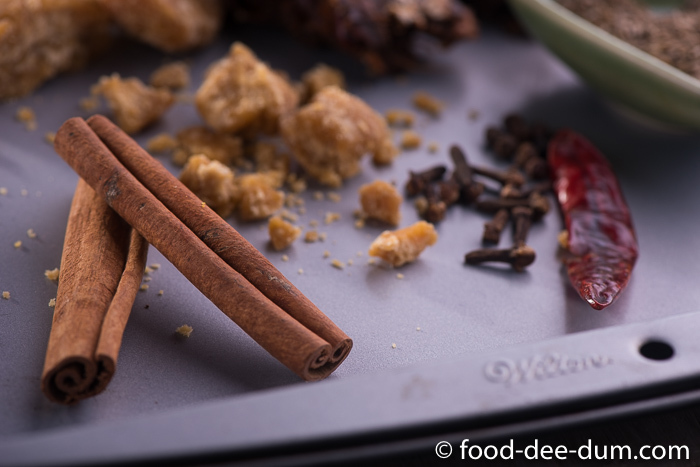 While doing this, ensure that you squeeze out as much pulp as you can from the tamarind. Adding the salts and ginger powder to this mixture, I set it back on the heat and let it cook until it thickened a little, to the consistency of warm honey. Approximately 10 minutes on medium-high heat. 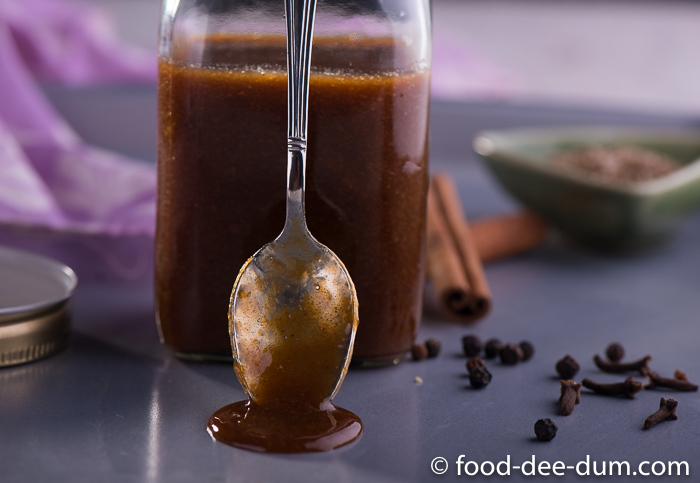 This chutney is perfect to dip samosas in, to top dahi bhallas with, to use in papri chaat, bhel puri and sev puri. Or simply serve as a dipping sauce with salad sticks or even fried snacks. It’s versatility never ceases to amaze me! This keeps well in the fridge for 4-5 weeks. Although I doubt it would ever last so long! 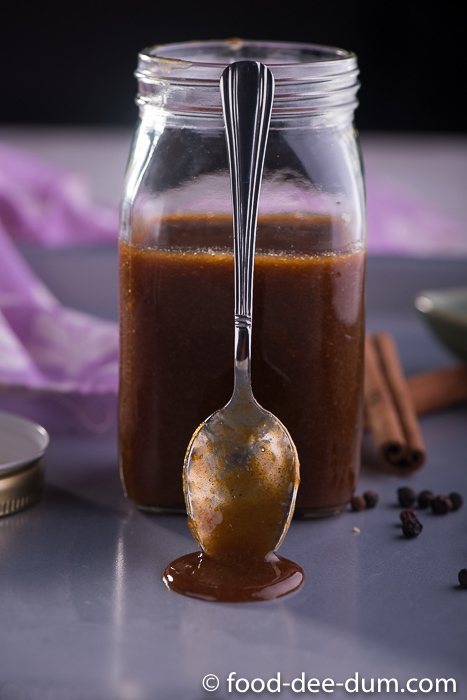 A sweet and tangy chutney with a hit of spice - perfect accompaniment to samosas, dahi bhalla and other chaat. Toast jeera, pepper and cloves in kadhai on medium heat until fragrant and 2 shades darker, approximately 2 minutes. Turn off the heat. 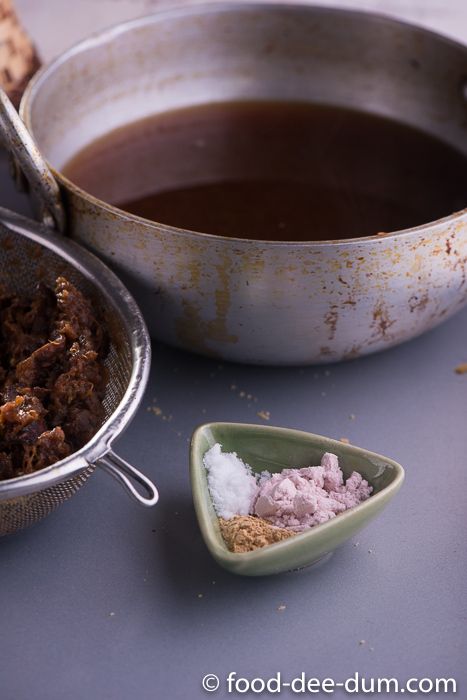 In a saucepan, place the toasted masalas, whole red chilli, cinnamon, tamarind, jaggery and 4 cups of water. 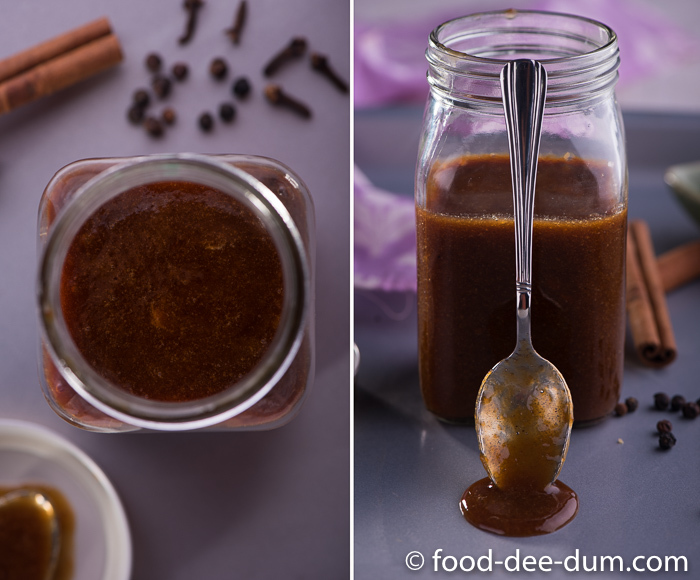 Set this on high heat and bring to a boil, stirring to ensure that the jaggery has melted and the tamarind also becomes soft and pulpy. Once it comes to a boil, reduce the heat to medium and cook for about 10 minutes, stirring occasionally. Take it off the heat, allow to cool slightly and then pass through a sieve -- pressing the solids against the sieve to release as much liquid and pulp as possible. 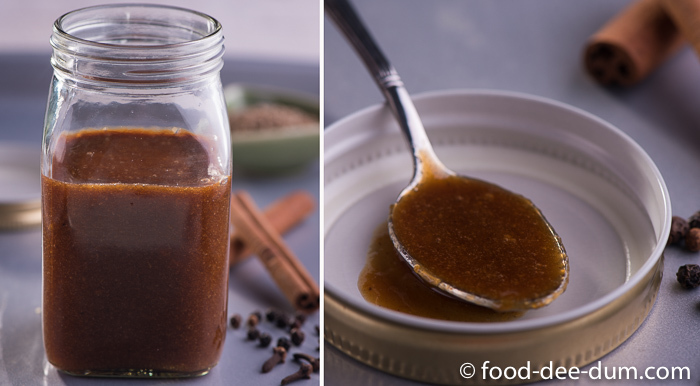 Discard the solids and set the liquid back to heat, adding the salts and ginger powder. Cook on medium-high heat until reduced and thickened to the consistency of warm honey, approx 8-10 mins. Take off the heat and allow to cool (at which point it will thicken more) and transfer to a clean glass jar for storage. The chutney keeps well for 4-5 weeks in the fridge and is best served with samosas, dahi bhalla, papri chaat etc.